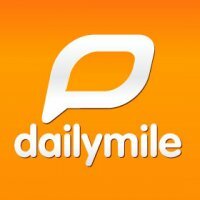 If you are a stats junkie, like me, you'll love Daily Mile. Every stat you want to know is at your finger tips. Connect with others for a challenge. Sure, you may not know these people but what you do have in common is a common goal. Be it your first 5k or your annual marathon - there's a challenge waiting for you! Connect with local events. I've met many new friends this way - then we met in person! Motivate others - it's good for them and you! Whether you are just starting out to exercise or are an old pro use these FREE online tools to help you reach your goal. Gotta run!